TY - JOUR. 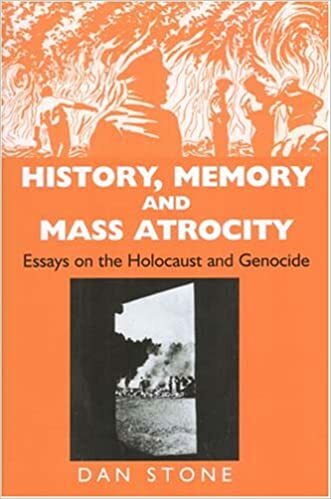 T1 - Dan Stone, History, Memory and Mass Atrocity: Essays on the Holocaust and Genocide. AU - Kansteiner,Wulf. PY - 2008. Y1 - 2008. KW - history. KW - Memory. KW - Holocaust. KW - Genocide. M3 - Review. VL - 41. SP - 715. EP - 717. JO - Central European History. T2 - Central European History. History, memory, and mass atrocity : essays on the Holocaust and genocide. Responsibility: Dan Stone. Imprint: London ; Portland, OR : Vallentine Mitchell, 2006. Physical description: x, 262 p. ; 24 cm.